I'm not sure what happened, but all of a sudden, I'm totally enamored with dry shampoo. I always hated not only the concept but the actual product -- every one I tried just made my hair feel crunchy and dirtier than before I sprayed it in. Well, maybe the formulas have gotten better or the brands have gotten smarter -- but now I'm ALL ABOUT dry shampoo. 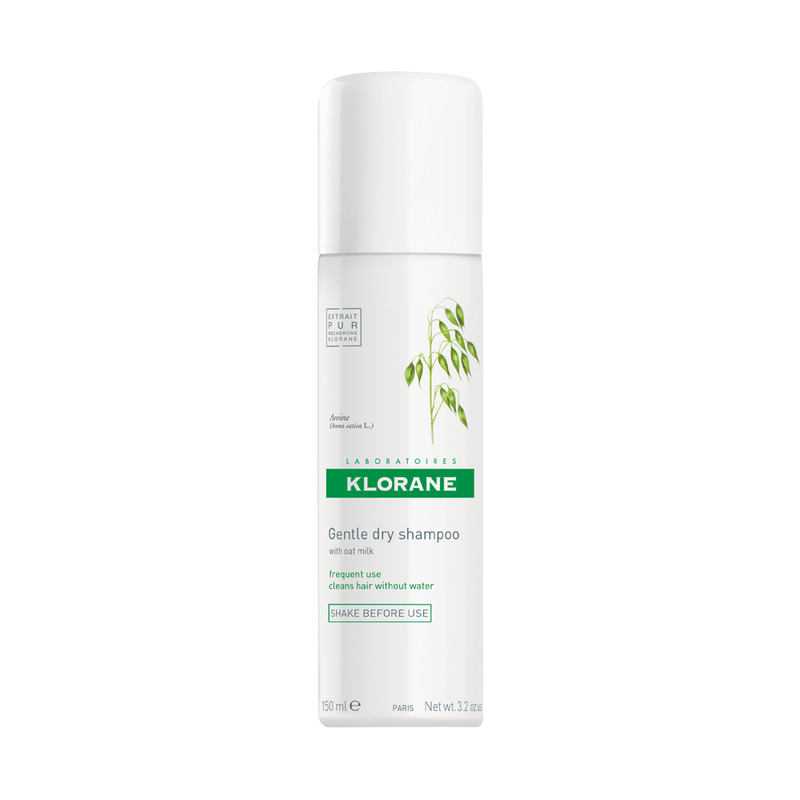 And my latest favorite is definitely Klorane Gentle Dry Shampoo with Oat Milk. This one showed up in my Birchbox a few months ago. I had already fallen in love with the Serge Normant Meta Revive Dry Shampoo, thanks to my Birchbox subscription, so I had a feeling Klorane would make me feel the same way. And you know what? IT DID. I decided to test this baby after not washing my hair for six days -- so there was a considerable amount of grease at the roots, I'm embarrassed to admit -- and it eliminated every single ounce of oil instantly. Seriously, it looked like I had just gotten a blowout that morning! Klorane's formula includes oat milk extracts, corn and rice starches to soak up oil, revive your hair, amp up volume and add texture. In short? It's a miracle worker (and my new personal lifesaver). Klorane Gentle Dry Shampoo with Oat Milk retails for $18 at birchbox.com. This stuff sounds like a miracle! My previous experiences with dry shampoo haven't been good, either, but I'm willing to try something good! Thanks for posting!